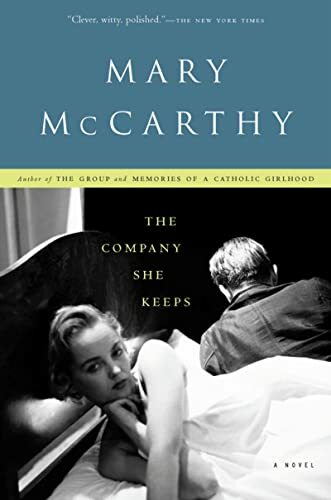 Mary McCarthy&#146;s first novel plunges into the psyche of a young married woman in the 1930’s who is starting an affair with a Young Man, planning to drop hints of it to her girlfriends and then reveal all to her husband. To her, her feelings towards specific men are unimportant &#150; the only way she measures her experience is in how others perceive it. The second chapter, "Rogue&#146;s Gallery," retreats from the intense self-perception of the woman playing for a divorce. The heroine is a well-read college graduate starting her first job in New York, assistant to a petty bogus art dealer who is struggling to keep his creditors at bay. The number of "girls" with a college education is none too high. Who could have an affair with whom is narrowly defined, how women are to behave is a given, quality clothes are recognized at a glance. authors like Dorothy Parker and Dawn Powell have captured this detached angle on smart "college girls" in the city more convincingly than McCarthy does here. But then she returns to the interior monologue as she tries to understand herself and what she&#146;s looking for. The selfsame quality that makes her a believable and engrossing author is what makes it impossible for her to let go and enjoy her life. She admits that just possibly "her whole way of life had been assumed for purposes of ostentation, and the book [she was reading], which looked accidental, was actually part of that larger and truly deliberate scheme." Certain passages date the book, e.g., "Most Jewish men were more feminine than Gentile men of similar social background." But it&#146;s strange how the current obsession with big, showy weddings that get written up in the social columns back then sounds so familiar–haven&#146;t women come any further after sixty years? A long chapter on the comfortable editor of "Liberal" and the trouble-making heroine&#146;s attempt to stir things up at a magazine stuck in a political rut falls flat, dozens of pages describing the various shades of the American left from a 1930&#146;s perspective. It&#146;s just too long ago, too far away. Interesting, however, is the way the editor perceives the narrator: "Jim had watched her… admitting to himself that she was having the wrong kind of good time: she was not floating from man to man as a proper belle should, but talking, laughing, posing, making part of the effort herself." He&#146;s drawn to her but won&#146;t go all the way emotionally because she&#146;s not the kind of girl you let into your life; he feels a "distaste for what was extreme and headstrong and somehow unladylike in her nature." Finally McCarthy’s anti-heroine visits a psychiatrist (as most of the characters do sooner or later). There are moments he helps her perceive patterns in her life &#150; but others where she finds his comments to be trite and banal. Her ironic distance makes it impossible for her to discern whether he may be offering her valuable advice. McCarthy here is more in Sylvia Plath territory than that of the other wry New York authors–the narrator is desperate and unhappy but she can&#146;t escape her personal quandaries.